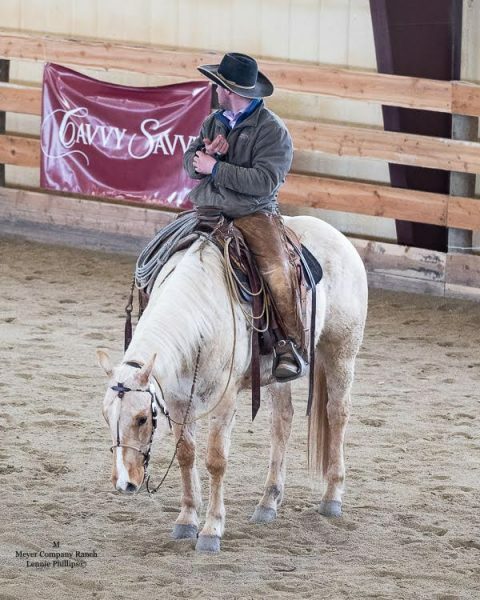 Self-driven horseman Tristen Baroni will be teaching a horsemanship clinic scheduled to run April 6, on CavvySavvy.com. Tristen’s methods of horse training and horsemanship have proven themselves effective through the start and success of Meyer Company Ranch Horses in Helmville, Montana. His main goal isn’t just useful for horsemen and women, but can be remembered and utilized in every aspect of life. His philosophy is simple— to leave things better than he found them. Meyer Company Ranch Horses began when Tristen was still earning his degree from Montana State University for animal science and livestock management. He’d begun working for Meyer Company Ranch when he was 19 or 20 via a Craigslist advertisement. While he was doing the same work as everybody else in the operation, he was also selling $30,000 worth of horses in one summer. They took special notice of him as their relationship grew, and eventually the program was formed. The program currently takes about 15 horses and puts a year’s worth of training on them. The end result being well-rounded geldings for sale to the public that can go in any direction. Tristen also takes in a few client horses as well as teaching these clinics. Tristen’s journey to his current position wasn’t easy. He wasn’t born in the saddle, but has been making up for the time he missed as a kid. Riding an average of 400 to 450 horses every year for the last half a decade, this motivated horseman is definitely one to take notes from. 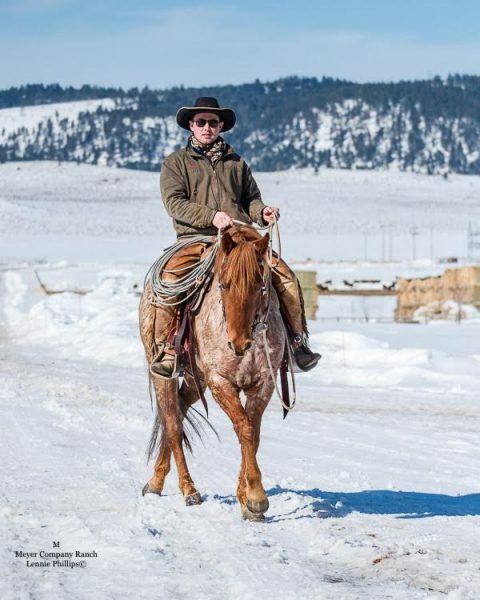 He moved to Montana the weekend after his high school graduation to pursue a career with horses. He’d always been drawn to horses– literally drawing them at school when he was little. His time in Montana began with packing for outfitters in the Bob Marshall Wilderness Area, Bitterroot Mountains, Absaroka Range, and Yellowstone National Park. “I had always loved horses, but it seemed out of my reach to understand them. I could ride them, but I didn’t know what they were thinking.” Tristen was working for a ranch with 700 head of cattle to calve out and a string of horses to ride. There were other cowboys with their own herd to look after, and he noticed something that changed everything. Tristen was already starting colts and training them to earn extra money, but he gave up the physical aspect of forcing the horses to do things; or as he referred to it, the ‘typical egotistical male thing’. Since then, he’s dedicated his life to understanding communication with horses, as well as the people he comes into contact with. He begins his day at 4:30 a.m., either running five to six miles or going to the gym, followed by working on his book about horsemanship. After doing chores, he heads straight to the arena and rides about 14 horses each day. In addition to life with horses, Tristen also enjoys writing (mostly about horses). He said he’s always had luck getting people to listen and like what he’s doing. “I show it and articulate it. Sometimes when things come out of your mouth, you think you’re saying one thing but you’re actually saying another thing. I found that writing gave me the ability to really understand what I was saying so I could actually communicate across what I’d like to,” Tristen said. He posts training segment videos on Facebook and Instagram, writing captions that explain what he’s thinking and doing, openly. He got in contact and started writing for Cavvy Savvy for the same reason. “My goal is to do what I was put here to do, and I can do that so easily now because everything is online. I can reach so many people.” Tristen said he’s very fortunate to be doing what he’s doing, with his biggest accomplishment being able to come in contact with the people’s lives and alter them.